Books to Movies...Yay or Nay?? It's safe to say that I am a HUGE bookworm. (See Books are always in style) I love everything about books and get a weird feeling inside if I'm not in the middle of a book! I'm a sucker for romance novels and anything with food in the title, what can I say? How can you say no to a "Cake shop in the garden" or a "Gingerbread café?" ;) I love that every author no matter the genre or theme of their book, is going to write differently. Just like "no one person, will ever read the same book" I believe no one author is ever going to write quite the same book! There in lies the magic of reading...expanding your imagination to places it may never have thought of going or meeting people you may never have met. Being introduced to magical worlds, faraway places, times in history or joyful seasonal traditions. They may all be described to us but we all see them differently! That brings me to my topic today...do we like keeping our books in the comfort of our imagination, like our own personal secrets, or do we get excited when they are turned into potential multi-million dollar blockbusters?? 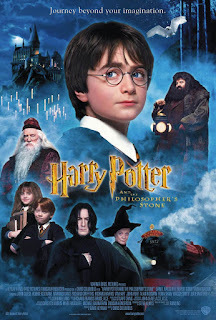 I'm not going to lie, I remember my 12/13 year old self going to see Harry Potter for the first time and thinking about all the things they didn't say or include in the films that happened in the books, rather than thinking about how amazing it was to see all these characters and this whole imaginary world come to life. If I'm going to be extra honest, I continued to think that way for probably the first four movies. You see, I loved the books so so much that at the age I was it was hard for me to sit and watch the stories played out without every single little detail from the books. I felt that it was wrong that people who hadn't read the books wouldn't get to laugh at every line I laughed at or see every scene I got to see in my head. As the years went by though I realized just how amazing these movies are and how much detail and time was spent on getting these books from page to screen... and it is incredible. I may still want to give people a funny look if they've never read the books, but thanks to these movies we now have the Warner Bros studio tour in London and Wizarding Worlds of Harry Potter at Universal's around the world. These places make me so happy and are places where you get to feel like you are immersed in the world that was once just inside your head. Would we have them if not for the movies?? Now when I think about Harry Potter, it comes as a collective with the books, movies, actors and actresses and is a huge comfort to me, I just love everything about it! I enjoyed the 50 Shades of Grey books but haven't seen the movie yet, I love Jamie Dornan but for some reason the hype and way the media portrays the whole franchise kind of seems creepy, I have no idea why but it just does. I probably will see it one of these days but it's not really high on my list right now. If you've seen it let me know what you think? One of the biggest tests for me will be next year when the movie "Me before you" comes out. This is based on the best selling novel by Jojo Moyes. I can not tell you how excited I was when I heard the news, as I absolutely LOVE the book. So going off initial reaction, I obviously do seem to lean towards the pro book to movie category. Lucy isn't too sure which side she is on after Jack Kerouac's 'On the Road' hit the big screen. She, of course, loves Harry Potter but with 'On the Road' being her favourite book, the movie was heartbreaking for her. So there is always that sense of trepidation. 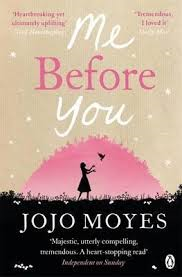 With 'Me before You' I can't help feeling extremely nervous about the story and characters and hope they get it right, especially with this one as it's such a powerful and emotional story and one of my favourites. 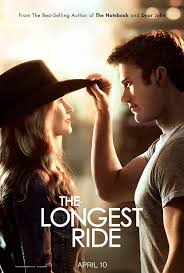 But at the same time that feeling like I had with "The Longest Ride" of getting to see the characters and story come to life, while still being in your own little secret bubble, I believe truly is magical and worth the risk! What are your thoughts? What books have you read that you would love to see on the big screen or what are some that have been made that you wish had just stayed books? There was this book I read ages ago called One For The Money by Janet Evanovich, and it was such a big hit, she made 18 novels, four novellas, and one short story in the series to date. It was pure hilarity from the get go. From that first book, I knew it would eventually become a movie. Therefore when it finally hit the big screen, I was super excited, only to be struck down by how bad it was. It wasn't funny, the acting was bad, and the writing was weak. Every line spoken sent chills of hate down my spine. Some books make a great transition to movies, even when some minor details are missing, it's just normal. However, when movies turn out like this one did, well... it's the reason why most people hate books turned movies.